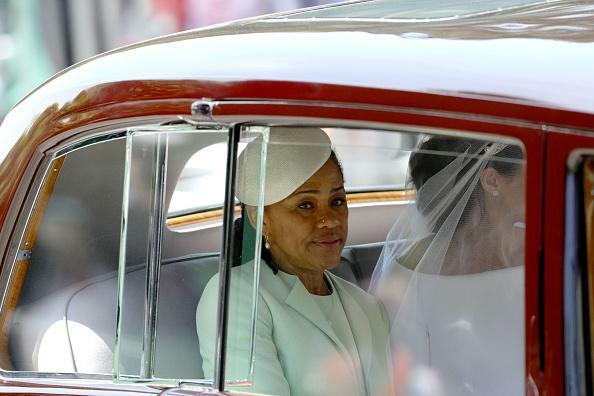 Meghan Markle's mother, Doria Ragland, was recently seen on her way to the yoga class in Los Angeles. The sighting came over a week after traveling to the UK to attend her daughter's wedding to Prince Harry. The 61-year-old social worker was photographed in her black and navy blue yoga gear. She also had a black yoga mat in tow. A few days before the yoga lesson, the social worker was photographed by the Daily Mail with her two dogs in Los Angeles. The sighting came after Ragland had been criticized by Markle's half-sister Samantha Markle. The MS patient criticized Ragland for allegedly collecting the royal wedding. The single mother was also beaten by Samantha because she had passed Markle's children's photos to the tabloids. Markle's half-sister also claimed that Ragland had assembled for an interview with Oprah Winfrey, but her rumored conversation was not yet aired on television. Recently, Samantha hit the crest given to her half-sister. She said that it looked like it had been created by a kindergarten. The self-proclaimed author of "The Diary of Princess Pushy's Sister" also expressed her disappointment that her father, Thomas Markle Sr., was not mentioned in the coat of arms. "Extremely inappropriate that my dad is not on the crest, and frankly it looks like it was being pulled by someone in a kindergarten." Our dad is American, but we have ties in the family tree to kingship at several Places to the College of Weapons, "she wrote on Twitter. In a follow-up post, Samantha claimed that her father is related to kingship.